The Inside. 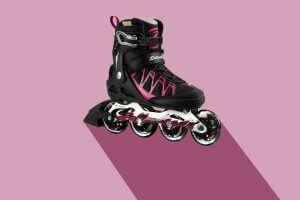 The inside of roller skate boots can easily become damp, whether from spills, puddles, or just foot sweat. Wipe down your skates inside and out every time you take them off, unlace them, and leave them to air dry naturally. Don’t put your skates near a heating source to dry them–this can damage them. The Toe-Stop. If your skates come with an adjustable toe-stop, experiment to see what position works best for you. Even if your toe-stop isn’t adjustable it can become loose, so check periodically to make sure it’s secure. The Wheels. Your wheels should spin freely, without obstruction. If not, check to see if they are dirty, gunky, worn, or even chipped or cracked. Dirty wheels can be removed, cleaned, and then put back on. Just like on a car, wheels in bad condition mean your skates won’t perform as well. They can also be dangerous, so broken or very worn wheels should be replaced. The Underside. The “truck” is the metal piece that holds the wheel axles. Most skaters will want their skates’ trucks to be tight and secure, so don’t forget to adjust them if needed. Even advanced skaters who loosen theirs for more mobility should check them regularly to make sure they aren’t too loose. 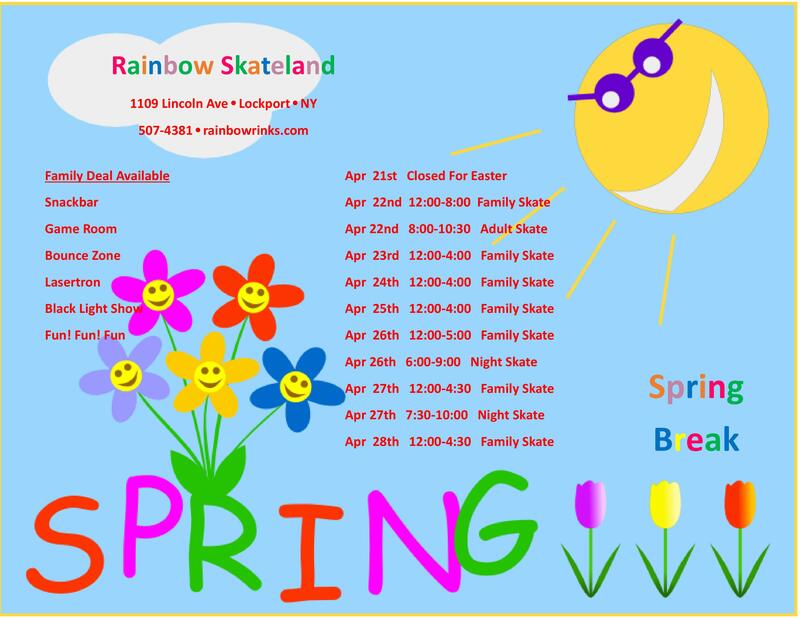 If you have an issue or problem you can’t fix, come see us at the Rainbow Skateland Pro Shop. We love to talk skating!